Are you a fan of the cubist artist Picasso? Help your kids learn a bit about art while getting creative. Pablo Picasso, the famed Spanish artist, helped to create the geometrically-inspired cubist movement. Explore this style by crafting a Santa Claus collage. This jolly holiday project allows kids to explore their creative side, learn about geometry and pattern, and celebrate Saint Nick! Paint the piece of cardboard with red and green holiday colors. Ask your child to create a pattern such as stripes or squares. Set aside to dry. 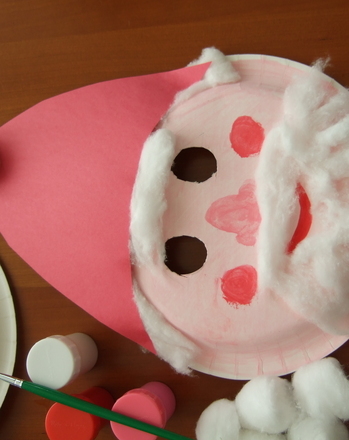 Help your child to draw the different parts of Santa’s face and hat onto the construction paper. Use peach to make an oval face, white for hair and a beard, red for a triangle hat, and black for circle eyes. Cut the pieces of Santa out. 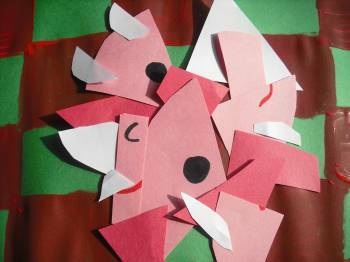 Cut the pieces of paper into smaller shapes. Make new geometric shapes from the larger ones. For example, turn Santa’s triangle hat into a smaller triangle, a square, and a rectangle. Place the paper shapes onto the dried, painted cardboard in a mixed-up pattern. Glue the paper to the cardboard. 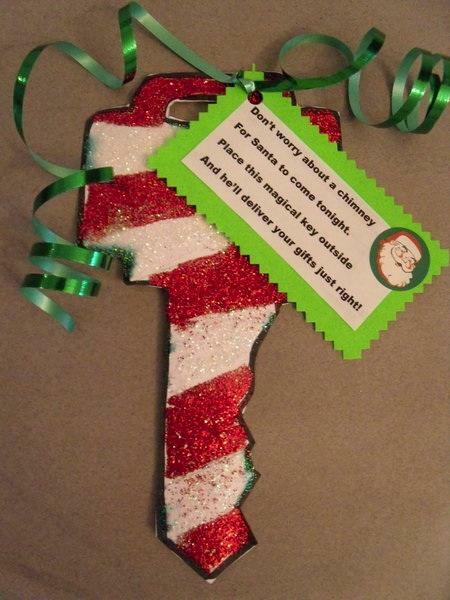 Display at a holiday party or give to a special friend as a Christmas present. 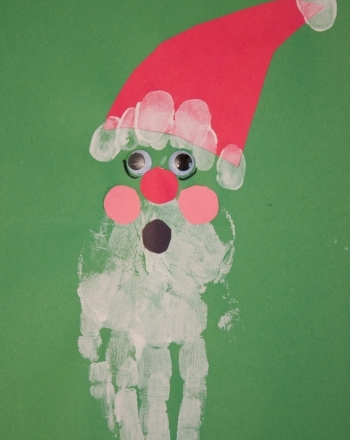 This is a great project to experiment with—the larger Santa's face is, the more fun it will be to create and find shapes within it! Santa needs help, and your child's subtraction skills can save the day! Celebrate the holidays throughout the year with a Santa hat. Complete with candy canes and jingle bells, this is one merry coloring page! This Santa jigsaw will help build fine motor and reasoning skills.